We’re coming to the home stretch gang; Halloween is next week! By now it should be obvious that when it comes to seasonally-appropriate movies, I prefer the old stuff: The classics of the 1930s, the poverty row works of the 1940s, and the cornball drive-in fare of the 1950s and 1960s. Some of the flicks I dig are generally perceived as less-than-great, while others are widely considered legitimate classics. Today, we’re looking at something from the latter end of that spectrum. 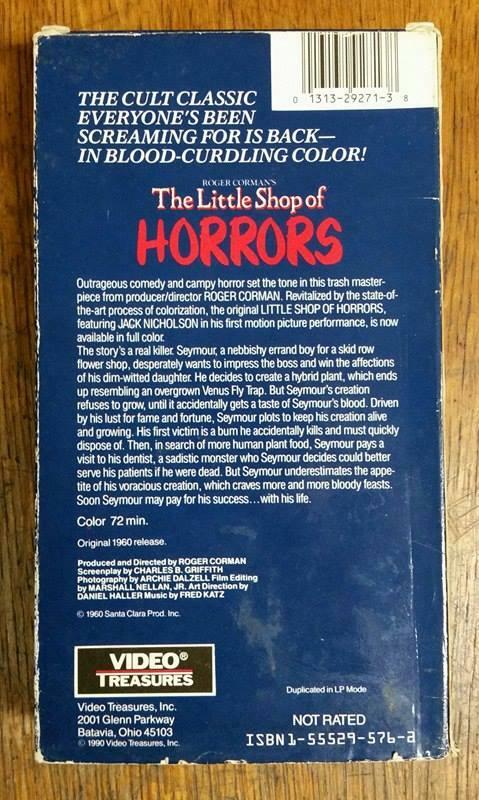 1960’s Roger Corman opus The Little Shop of Horrors is somewhat of an anomaly. Based on the plot and production values (it was filmed for figurative peanuts in only two days! ), by all means this should have been little more than a cheap and cheesy horror quickie; fun and entertaining perhaps, but not something particularly good. That’s not how it turned out though. Everything lined up perfectly for Shop, the result being a genuine classic. It’s fast-paced, well-written, and thanks to some terrific dark humor, pretty funny. It may very well be Corman’s best movie. I certainly consider it to be. 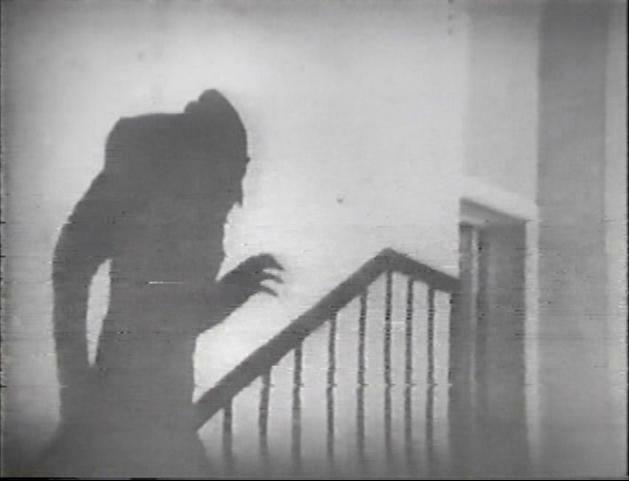 As it turned out, a fate that befell other ‘big’ horror films also happened to befall Shop: It lapsed into the public domain, and that, coupled with its status as a “cult classic” ensured that the movie would be readily available at pretty much any given moment. No joke; you’d almost have to be trying to avoid The Little Shop of Horrors in order to not see it! Enter the mid/late-1980s, the booming home video market, and the then-new (and then-controversial) process of colorizing black & white films. 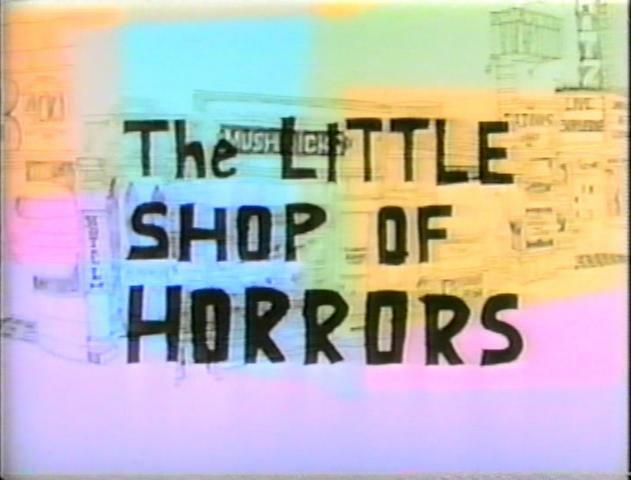 It stands to reason that some of the more legendary grayscale movies would be prime candidates for colorization, and that’s where our subject today comes in: The Little Shop of Horrors was given the color treatment in 1987 and released by the much-missed Vestron Video. 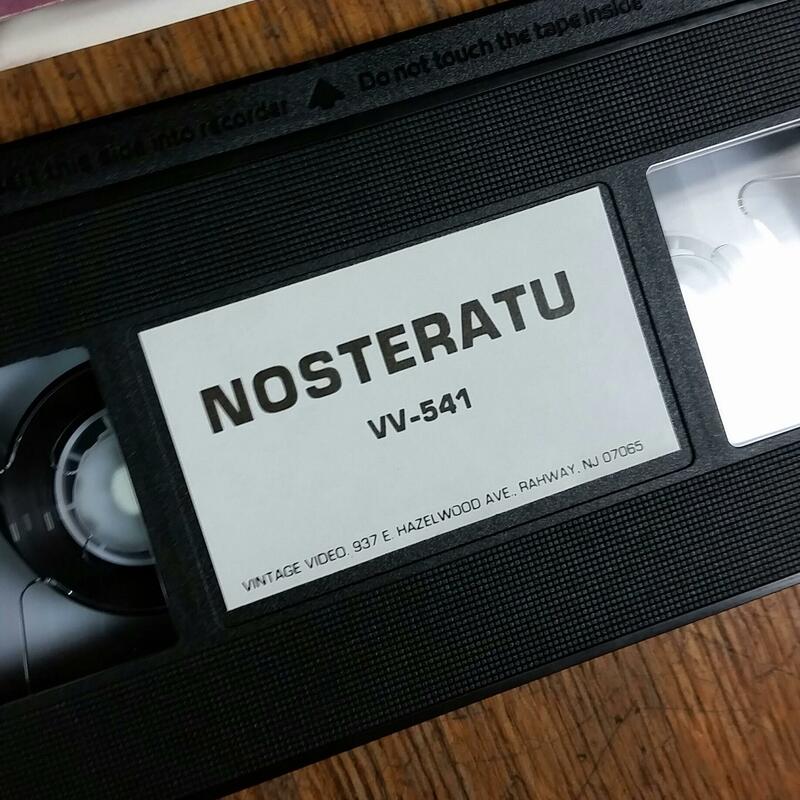 The tape we’re looking at now, however, is not that Vestron release, but rather a 1990 re-release by the industrious Video Treasures. Video Treasures put out a lot of tapes around that time, and there’s some legendary titles amongst its ranks. I’m not sure how they came to own the rights to the colorized version of Shop, but as far as I’m aware it’s the exact same print as Vestron’s. And so here we are. First off, look at that cover art! Just look at it! Yes, for those unaware (all three of you), Jack Nicholson is indeed in The Little Shop of Horrors, though it apparently wasn’t his very first appearance in a motion picture. Still, it’s certainly one of his earliest, and the acclaim garnered by the film as a whole means that everyone involved was/is for the better, Jack included. Though, the cover art points to a popular trend among releases of Shop: They like to play up the Nicholson angle, even though he’s not in it for very long. I mean, it’s understandable; he’s a name draw, an uber-recognizable face, so of course you gotta take advantage of him. But in reality, Jack isn’t even close to the star of the film (he was still a few years away from Batman, man). 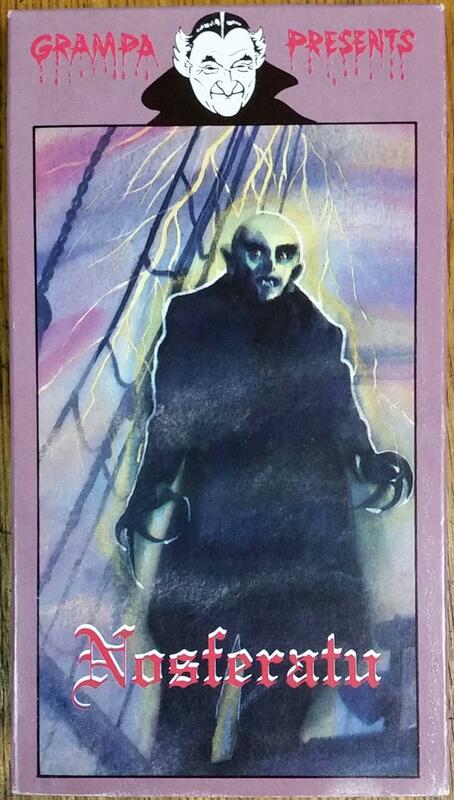 The cover art used here is some of the more-famous artwork to be found gracing the front sleeve of a Shop release; it was used on no less than four separate VHS releases of the movie. Maybe even more, I don’t know. Three of those were for this colorized version: The 1987 Vestron release, this 1990 Video Treasures version, and one by Avid Home Video in 1992. The fourth one was United American Video’s 1987 VHS of the original black & white print, and that’s the one I had back in the day (still do, actually). Found in Best Buy’s fabled $2.99 VHS section, I was immediately drawn to that cover art, and actually picked up two copies: One to watch, and one to keep minty sealed fresh. 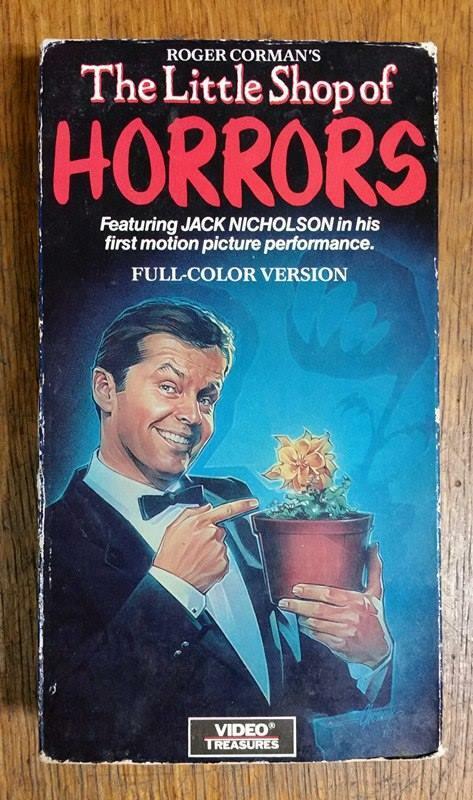 That well-drawn picture of Jack, dressed to the nines and happily pointing at a presumably-killer plant, was and is immediately eye-catching, and as far as I’m concerned, some of the coolest cover art of the late-1980s/early-1990s VHS era. 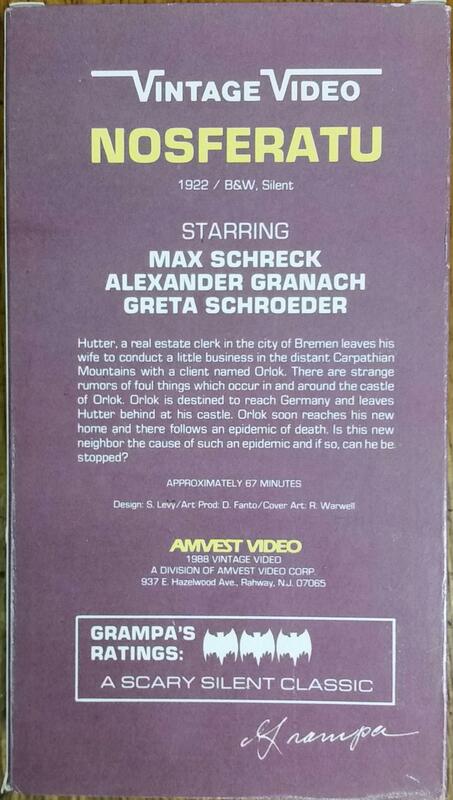 The synopsis on the back cover is word-for-word the same as what appeared on the Vestron release. 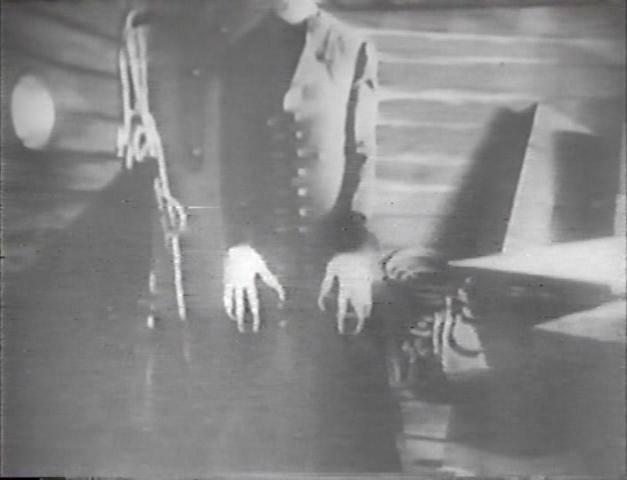 Actually, it was the same on the 1992 Avid VHS release, too. It seems that whoever gained the copyrights kept the particulars and only changed up the formatting and appropriate criteria (i.e., manufacturer etc.) somewhat. That’s okay though, because the description does a pretty good job of selling the movie. Why fix what ain’t broken? I do take a few issues with it, however: 1) Calling it a “trash masterpiece” doesn’t work for me. It’s a cheap comedy-horror film, yes, but I’ve never thought of it as “trashy.” 2) Audrey wasn’t the daughter of the flower shop owner, was she? 3) That final line kinda gives away the conclusion of the film, though not definitively, and I suppose it could be taken either literally or figuratively. Still, I would have left that part out. Wikipedia says the movie has been colorized twice: This one, and a 2006 version by Legend Films. That Legend version was well-received, but this one less so. First off, Legend does good work, so that part doesn’t surprise me. As for the reception of this initial colorized version, I get that was released relatively early in the colorizin’ game, but even so, I actually didn’t mind it. Don’t get me wrong, I prefer that movies filmed in black & white stay in black & white, but as a relic of a time when the coloring process was still quite controversial, I can’t help getting a small nostalgic kick out of the proceedings. I will say that the movie’s intro was a cause for concern, however. Look at that title screen above; see those “colored boxes,” for lack of a better descriptive term? As the opening scrolls to the right, those boxes just sort of remain stationary (for the most part), and it’s not a great effect. It reminds me of those old school color “screens” people used to place on their black & white TVs. Methinks they would have been better off giving the opening credits a single, solid color, but things settle down once the movie proper starts. So, The Little Shop of Horrors. Is there anyone here that hasn’t seen this movie? Raise your hands as if I could possibly see you please. No? No one? Thas what I thought. 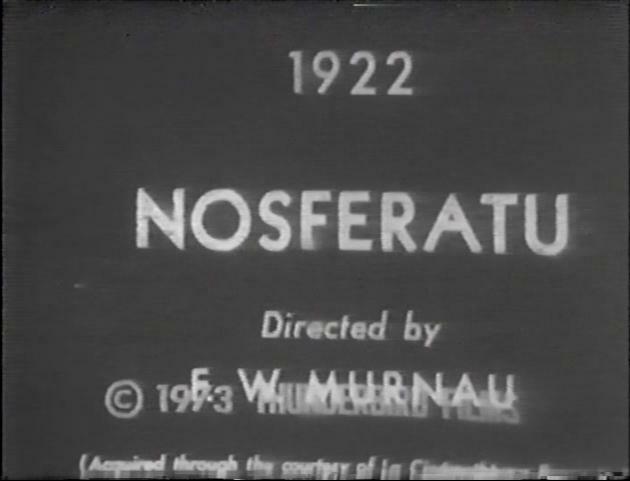 The critical acclaim and public domain status have both ensured that this is one of the most widely-seen classic horror films going. It doesn’t top Night of the Living Dead in availability, but then, what movie does? Shop can still be mentioned in the same “ain’t no copyright on dis flick” breath though, and that’s pretty impressive nevertheless. The plot, for all six of you who haven’t seen this, concerns one Seymour Krelboyne, a lowly worker at a skid row florist. 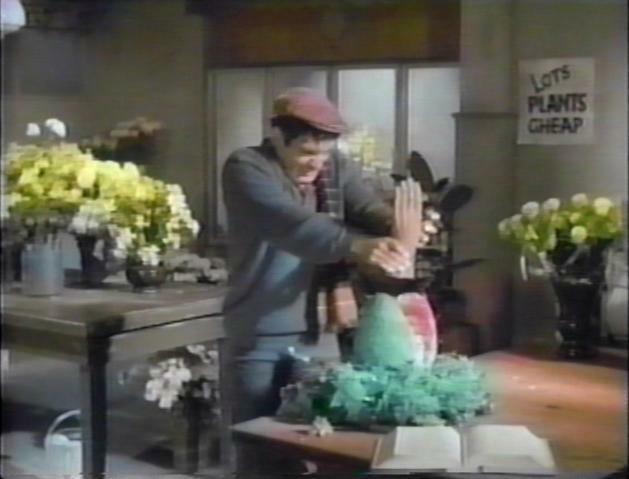 Seymour is a screw up, and at the threat of being fired, Seymour saves his job by presenting an odd plant he has grown as an attraction for the shop, named “Audrey Jr.” (after fellow florist Audrey, who Seymour is in love with). The plant is unusual; it’s a hybrid with some venus flytrap genes in it. Unfortunately, Audrey Jr. doesn’t like to eat; attempts at ‘normal’ plant nourishment don’t do anything for it. It’s only after it accidentally gets a taste of Seymour’s blood that the truth is revealed: This thing craves humans! After pricking his fingers dry, Seymour knows that more is needed to keep the thing alive. Soon after, Seymour accidentally, and fortuitously (ha! 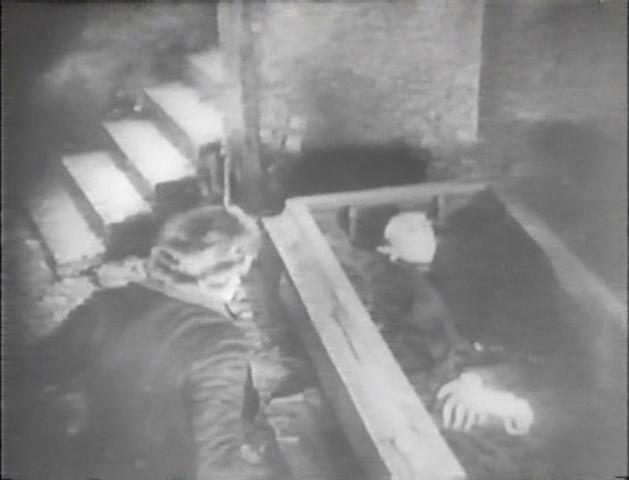 ), causes the death of a stranger. In order to cover his tracks, he scrapes up the body and feeds it to Audrey Jr. (above), and from there on, well, you can see where this is going. Seymour must satisfy the plant’s cravings with more and more human morsels. So what about Jack Nicholson’s role in the flick? As I said, he’s not in the movie very long, but his sequence is very funny. 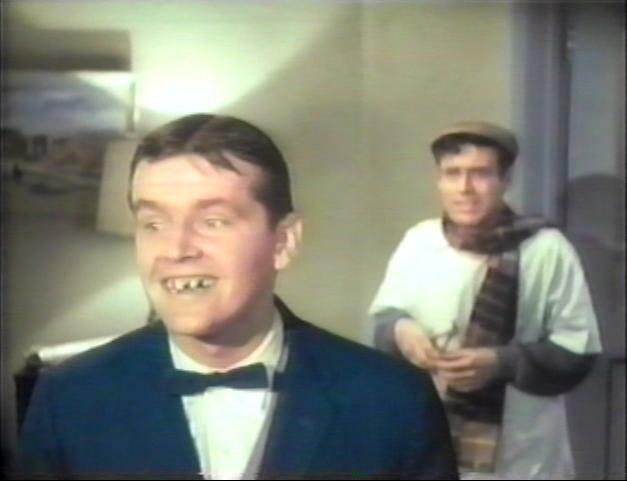 Jack plays masochistic dental patient Wilbur Force, who Seymour works on while posing as a dentist (after killing the real dentist – in self-defense, mind you). Jack doesn’t become a meal for Audrey Jr., but he gets one of the funniest moments in the whole film. As a masochist, he actually enjoys the visit to the office, with the final gag being him happily walking out and displaying his new trainwreck of a smile. Funny stuff! Jack would later get bigger roles (duh! 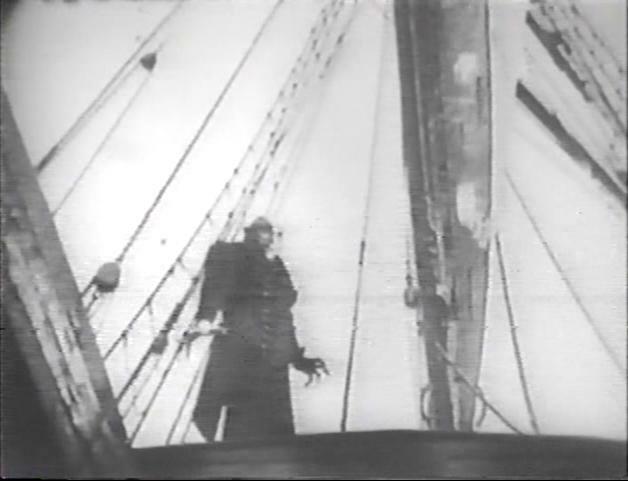 ), and even starred in Corman’s The Terror alongside Boris Karloff some three years later, but when it comes to his uber-early work, well, it’s tough to top his small bit here. The Little Shop of Horrors is a movie that really holds up. Unlike a lot of horror/sci-fi films that have lapsed into the public domain, Shop is genuinely good. Sure, it was cheap and quickly filmed, but in my opinion that just adds to the charm. The horror elements are legit, but the film is largely a goof, and it all comes together perfectly as a whole because of it. Clearly it did something right; besides the unending fandom attributed to it, the flick also served as the basis for a popular musical, which in turn became the 1986 theatrical adaption/remake. Like any colorized movie, I’m not sure I could ever recommend the altered version over an original black & white print, but as a supplement to the real deal, I’m fine with it. Colorization has obviously advanced in the years since, but there’s something about taking a trip back in time and watching a work from the earlier years of the process that’s a lot of fun. It’s not always perfect, but as a late-1980s/early-1990s throwback, it’s worth a watch. 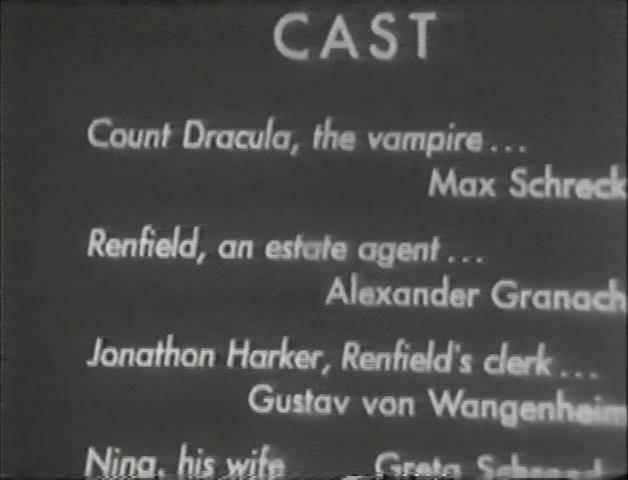 It makes for good, fairly-harmless Halloween viewing, if nothing else. (By the way, for a print apparently authorized by Corman, I was a bit surprised to see that this particular version did not include the original ending credits. Many black & white copies lack them as well. My very first viewing of the movie, off of good ol’ 29/35 way back in like 1997, featured them, but few, if any, I’ve seen since have. 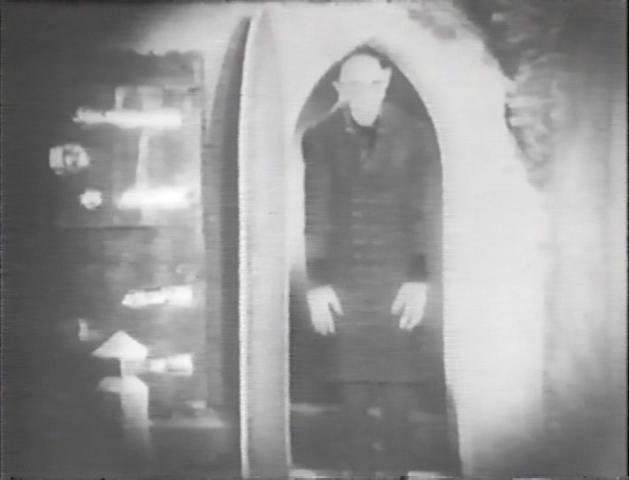 This entry was posted in Uncategorized and tagged 1960, 2006, colorization, colorized horror movie, colorized movie, colorized verison, colorized vhs review, DVD, film review, movie review, overview, release, review, the little shop of horror vhs review, the little shop of horrors, the little shop of horrors 1960, the little shop of horrors color, the little shop of horrors colorized, the little shop of horrors video release, vestron, vestron video, vhs, vhs release, vhs review, video, video release, video treasures, vintage, vintage release on October 25, 2017 by neovideohunter.